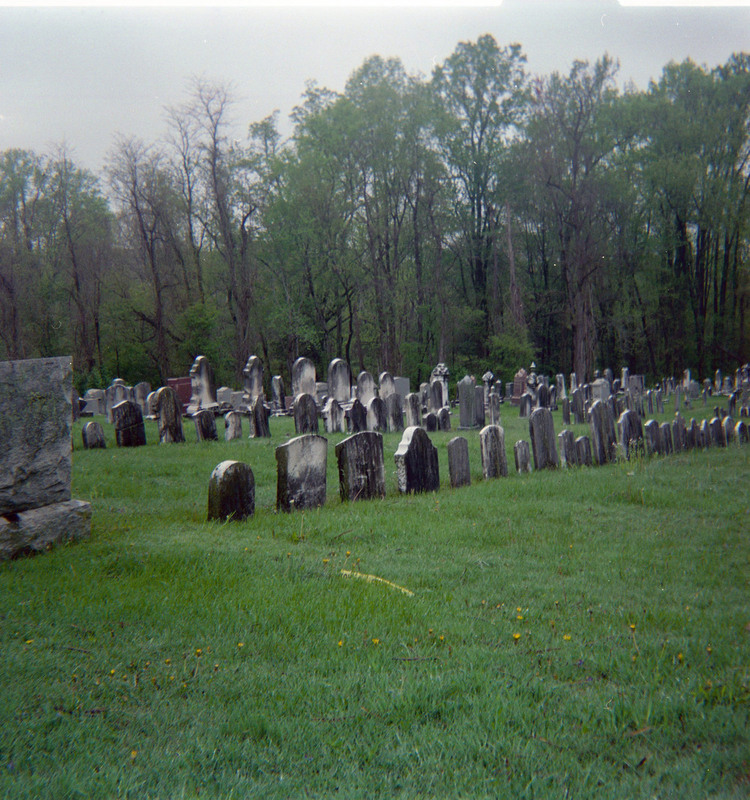 Week 17 Camera - Kodak Brownie Flash 20 purchased at one of the local antique malls in Hanover. This week's post is a little late as I didn't finish shooting with this camera until yesterday. I was not feeling well last weekend, then it rained for a few days, but I managed to get this week's roll finished. The film I used was from my batch of expired Kodak Portra 160NC given to me by a friend who found it in an old unused darkroom. 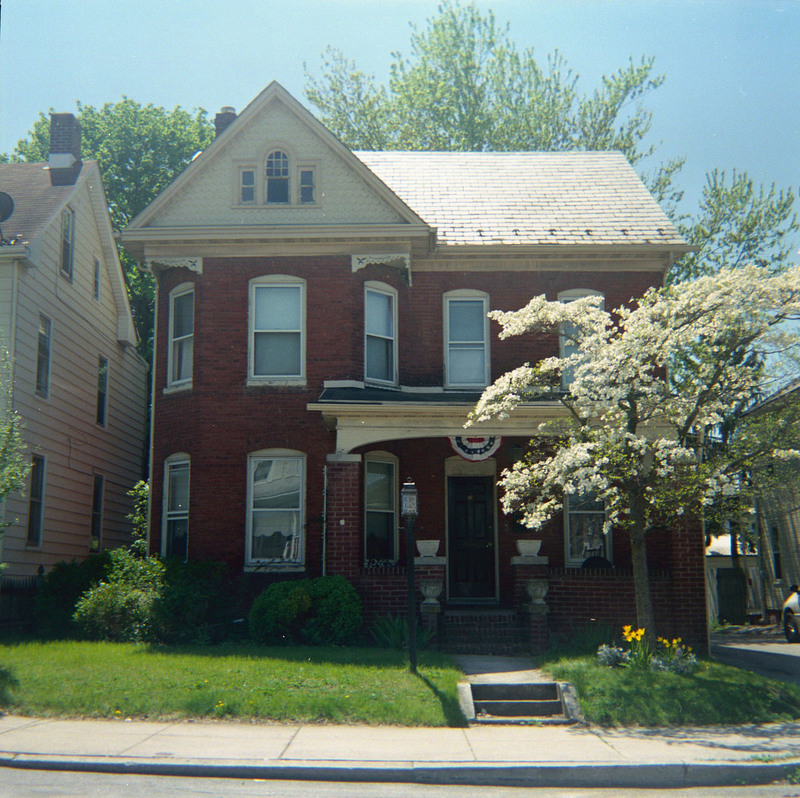 The first photo on this roll was of course, one of our house, a frequent subject when trying out a newly acquired camera. I was not up to going out last Sunday though it was gorgeous out (and also Worldwide Pinhole Photography Day!). When Saturday of this week came I was excited to get back out there and decided to hop in my car and drive to a few spots that I had been wanting to photograph. First stop was our lovely Mt. Olivet Cemetery but seeing that there was a funeral about to take place, I quickly drove away. I then remembered that I hadn't seen my son's Eagle Scout project in a while and thought that would make a nice photo. 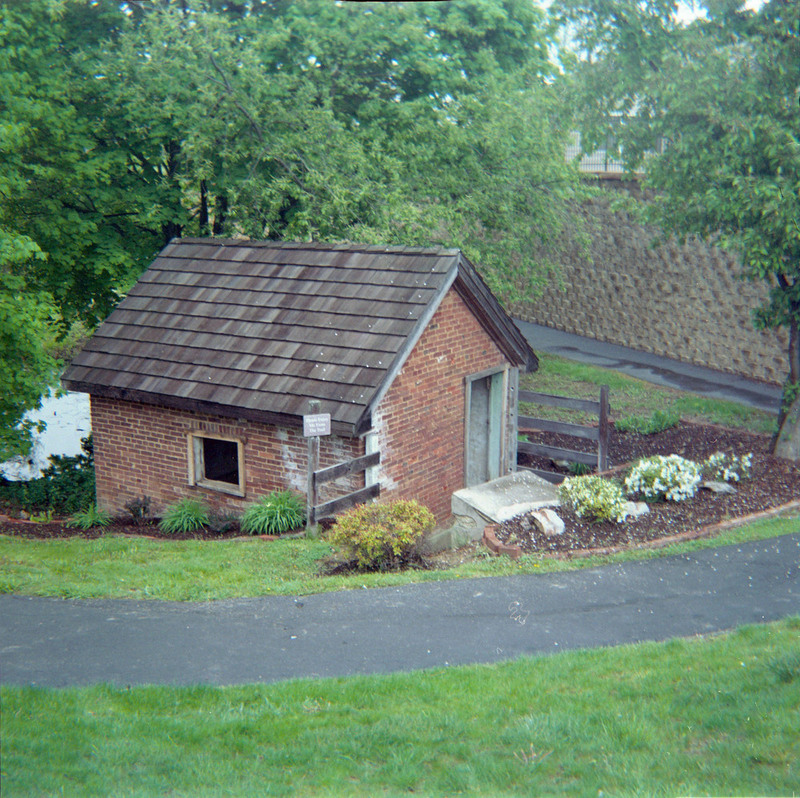 For his project six years ago, he coordinated the efforts to replace the roof and repair an old historic spring house at the retirement village. It looked really nice with fresh landscaping and blooming shrubs, it made nice photos. 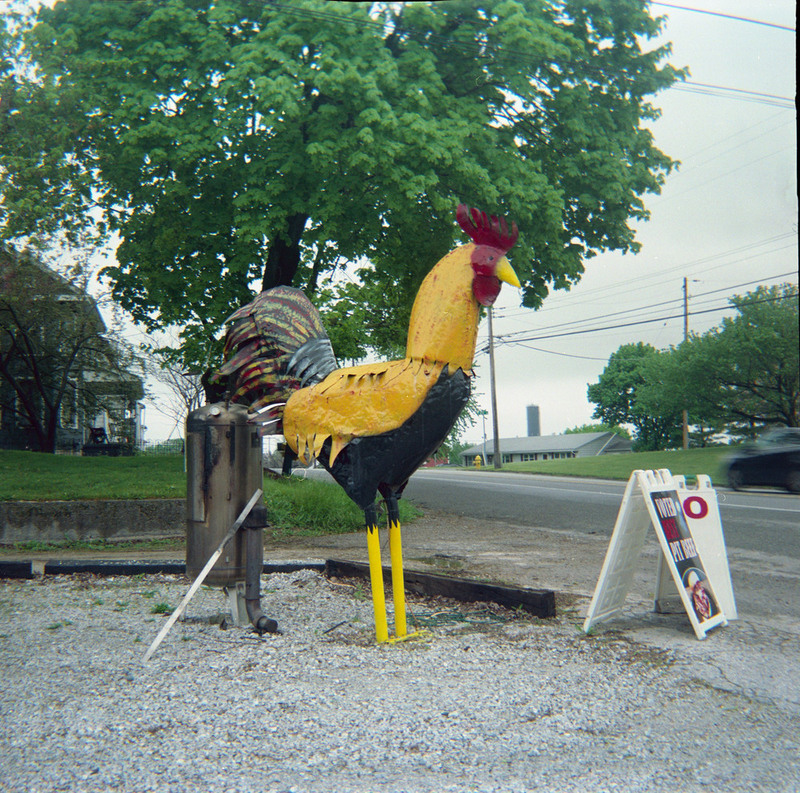 I then drove south of Hanover and darted into the parking lot of a pit beef joint and shot a photo of an enormous painted metal chicken that I've driven past many times, hoping the owner wouldn't come chase me away. Whew! I made it. Further south I turned on a country road to see a church and barn. While taking those photos, I noticed a small prayer garden, lush with greenery and dogwood blooms in the background. I headed back home for a lunch break, then the sun came out! I drove back to Mt. 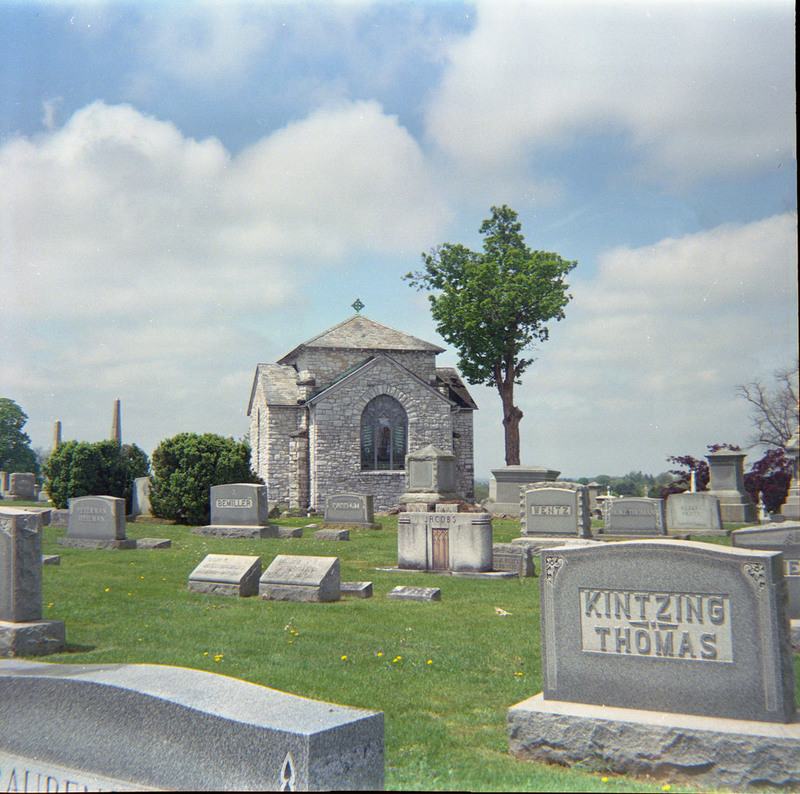 Olivet cemetery and made a few photos and the roll was finished. Now I can concentrate on this week's camera! 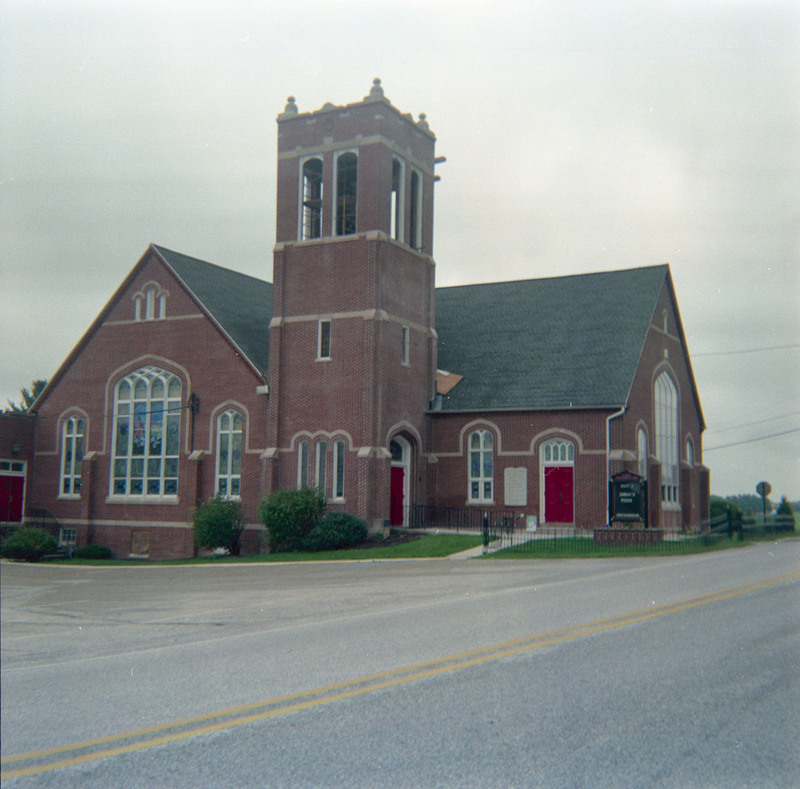 Film was developed with Unicolor C-41 kit and scanned with Epson V500 photo.